A recent flight shared by Runway Girl Network brings a lot of questions and fewer answers. One thing is clear, United takes safety seriously. But should the flight have still flown? 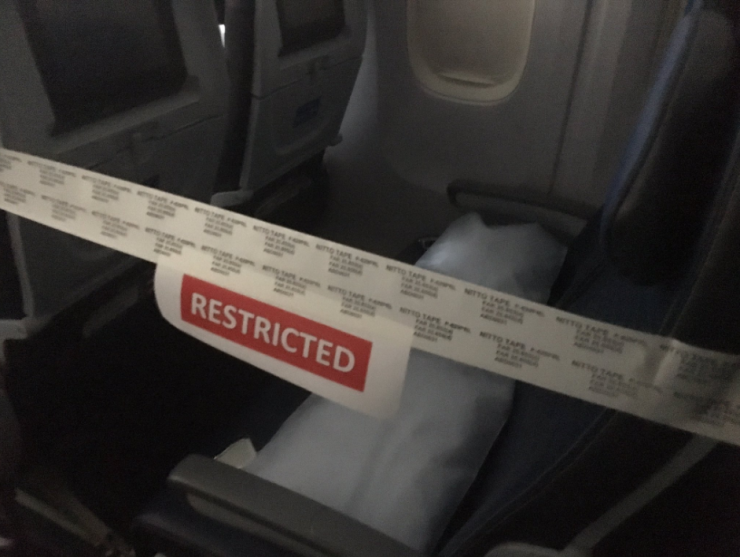 United rebooked all passengers in row 31 and back. 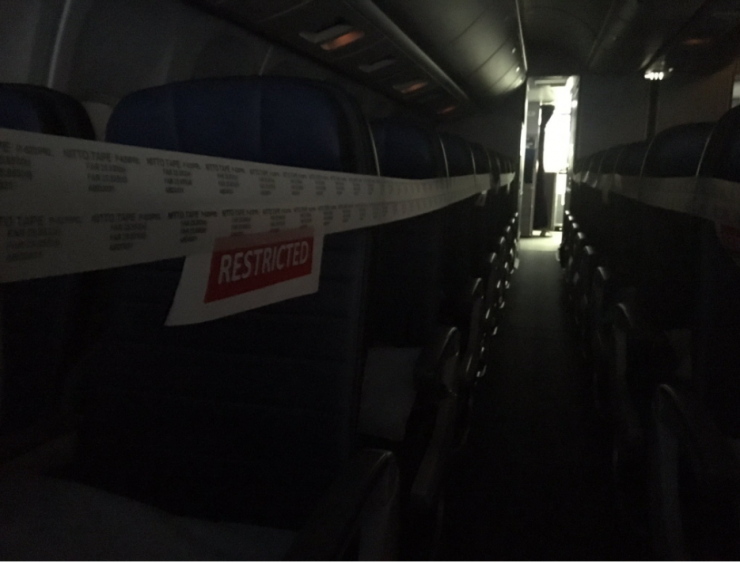 Perhaps ironic that Flight 31, blocked out rows 31 back. Essentially, this blocked out 9 rows of passengers in economy, translating to 63 seats that were unusable, based on SeatGuru. Was this the best solution? Joking around is great. I do it all the time. But, given that this thread was in response to RGN’s photos as shared above, I feel like they were a little off the mark. But, the bigger issue, I wonder, is, should United have flown the flight anyway? I totally get that this only inconvenienced a maximum of 63 passengers, out of a total of 183 passengers. That’s still one third of passengers. Now, I get that First and Business Class passengers probably wouldn’t have cared much, I mean, they have their layflats. 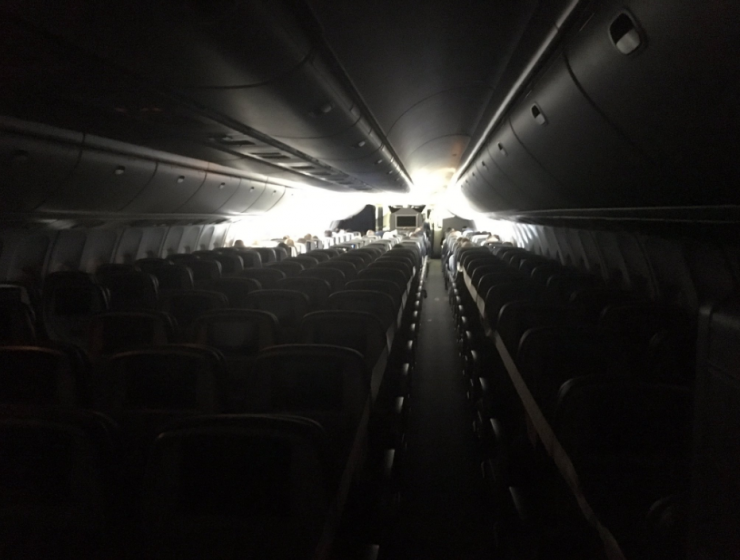 But for those 12 rows of economy passengers, these photos seem really, really eery and offputting. Was United right to have flown this flight as they did, or should they have cancelled it all together? Perhaps the aircraft was needed for a EWR outbound flight, and this knob was to be fixed there. So if they cancelled, it would have affected many more passengers. A replacement aircraft is not always available, and”stealing” a plane from another route has the same effect. While you make it sounds like they made a simple bad decision, every routing change has many downline implications. @Rich – fair points, and I’m not saying it was unsafe. It just seems eery. But keeping seats closed off near the exit door at least seems safer. I don’t know the specifics, but there are safety regulations they follow for these types of situations, that dictate which seats can be occupied if certain safety conditions are not met. But I would agree that turning out the lights may not have been there best choice, and was likely the action of the FA, rather than any sort of regulation.